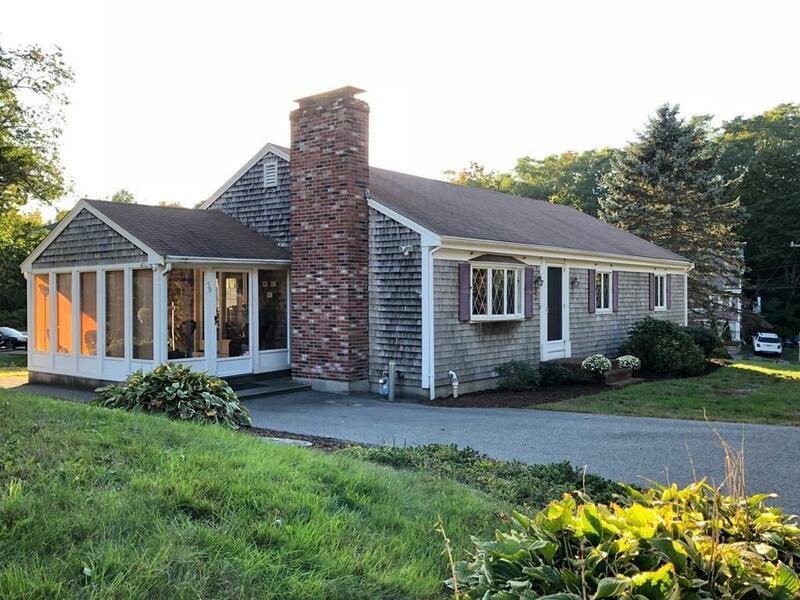 Welcome home to this oversized Ranch with mostly finished lower level that's just a mile from historic town center, restaurants & the harbor. You'll love the huge kitchen with plenty of cabinet storage & spacious dining area. Relax in the living room with bay window and brick fireplace or watch tv in the comfortable den. Full bath, laundry and 2 bedrooms with ceiling fans and large closets complete the first floor. The 3 season enclosed porch comes with screens and is another great place to enjoy time with friends. The lower level is truly a pleasant surprise with numerous choices of how to use the finished space. There's a bar with sink and small fridge, easy access to the back yard, and plenty of closet space including a huge cedar closet.Paved driveway, storage sheds, mature landscaping and more. Don't miss out on your chance to own this impeccably cared for one owner home.